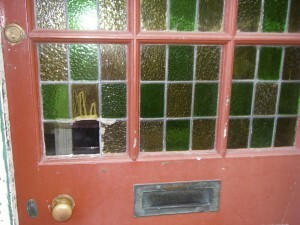 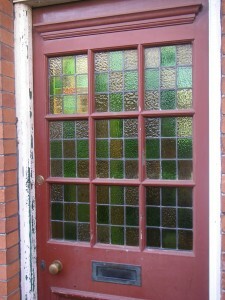 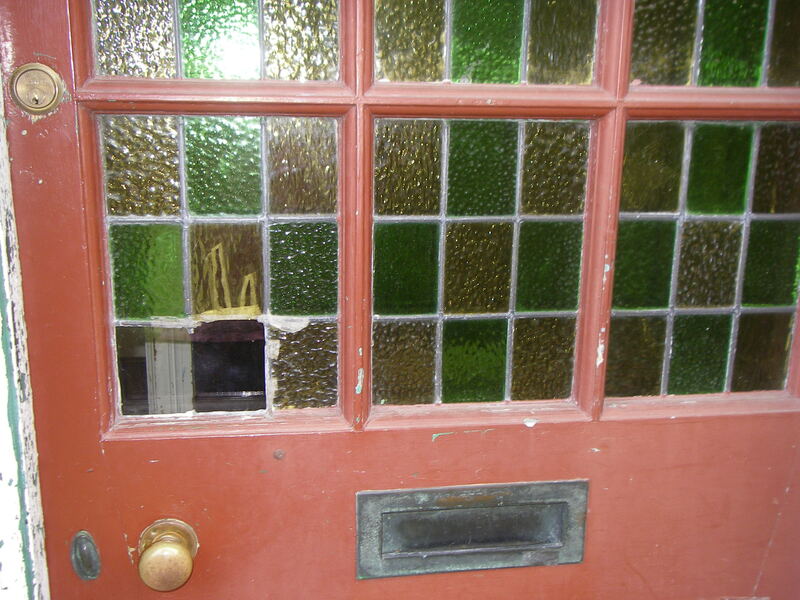 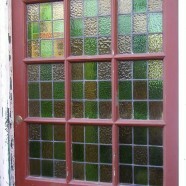 Following an attempted break in at a house in Cambridge we were asked to rebuild three of the panels within this door. 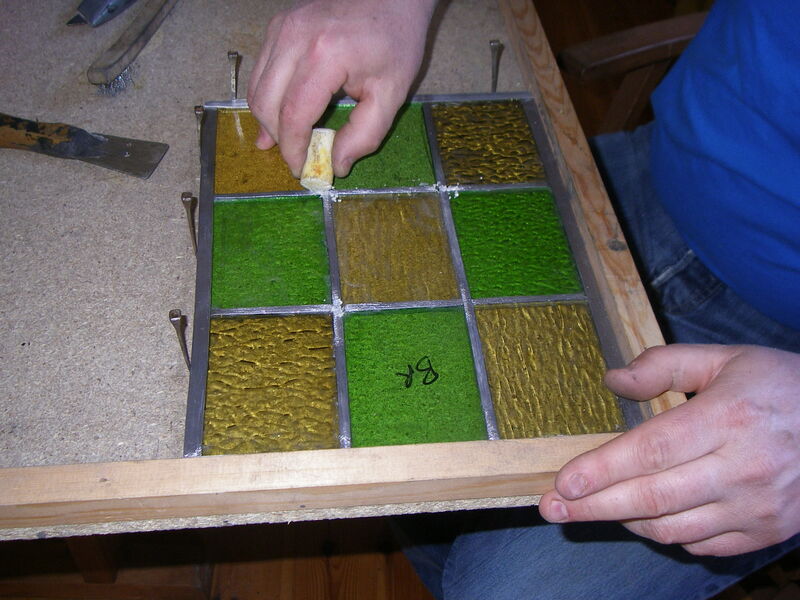 Two of the panels had weak lead joints and were moving within the frames. 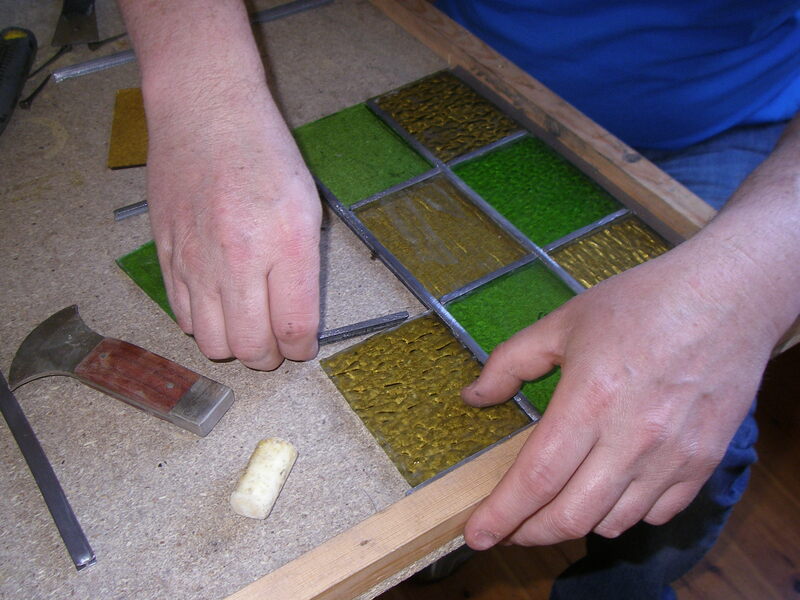 Stripped out of the old lead the glass is cleaned and then laid into fresh 3/16″ lead came which is cut to size whilst the unit is held square on a board support. Flat horseshoe nails are used to hold the lead and glass in place whilst the panel size is checked. 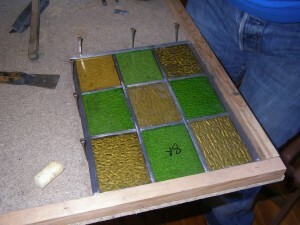 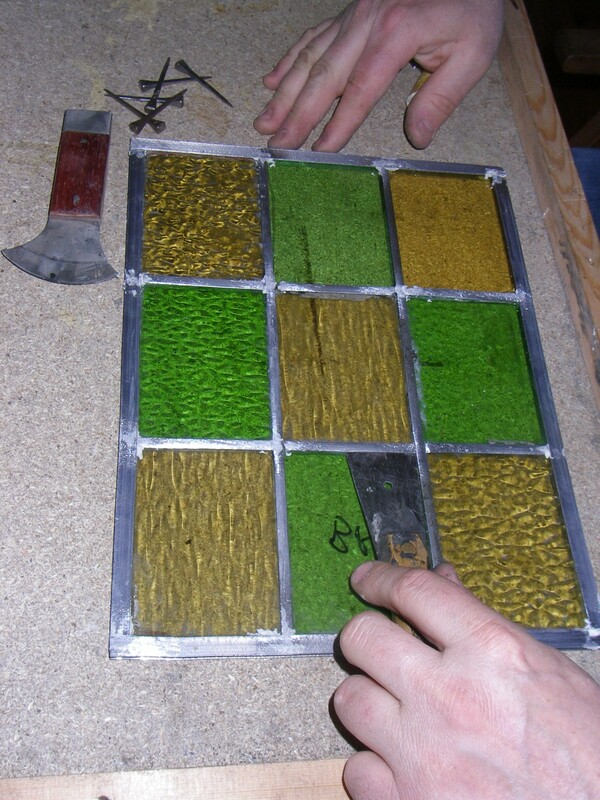 As originally wider 3/8″ lead is used to frame the panel. All the joints are prepared for soldering with a clean from a wire brush before tallow is applied as a flux to help the solder flow into the joints. 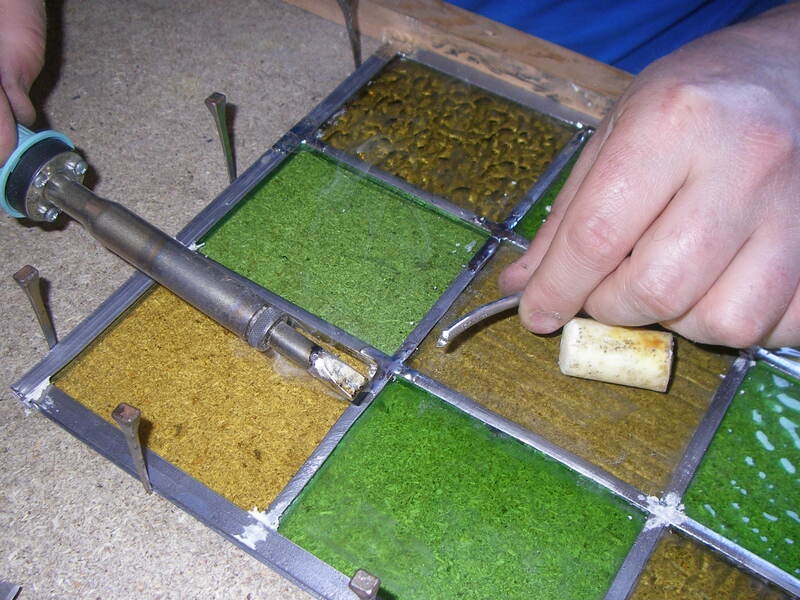 In this case the joints are soldered using a 100w electric iron which is ideal for smaller lead work. 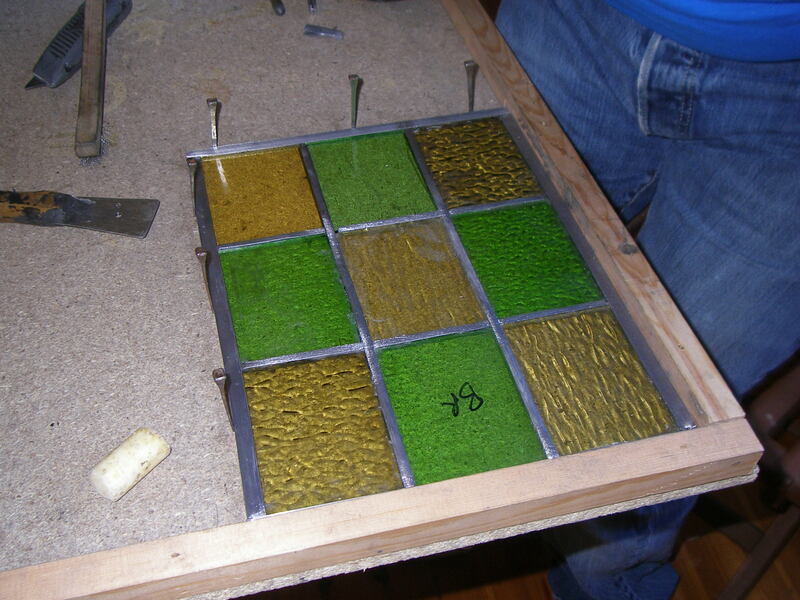 On the reverse side alignment is rechecked before flux and solder applied to finish the rebuild. 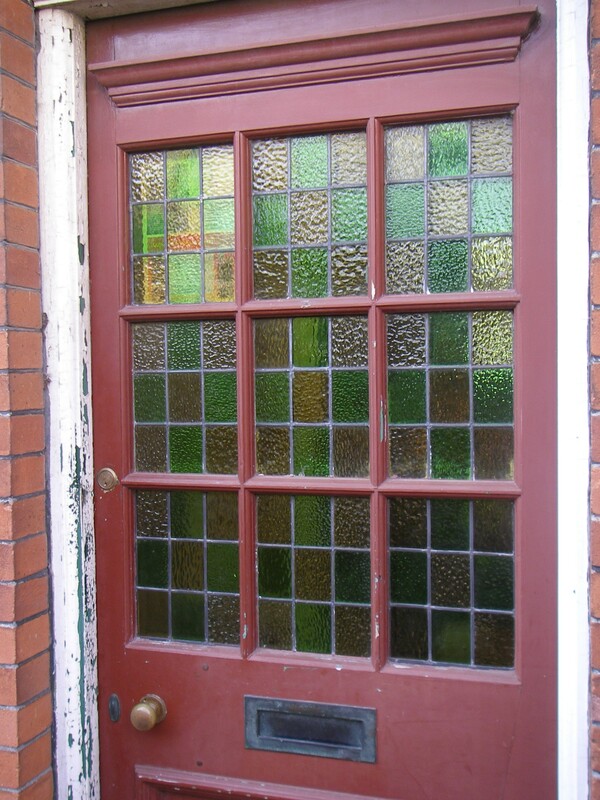 Finally the three leaded panels are sealed against the weather using lead light cement before refitting into the door to complete the rebuild.